Plasma cell. Coloured transmission electron micrograph of a plasma cell in the lamina propria of the gut. Plasma cells are mature B lymphocytes (white blood cells) that produce and secrete antibodies during an immune response. The cell's nucleus (green, centre) contains dense chromatin, a complex of DNA (deoxyribonucleic acid) and proteins. 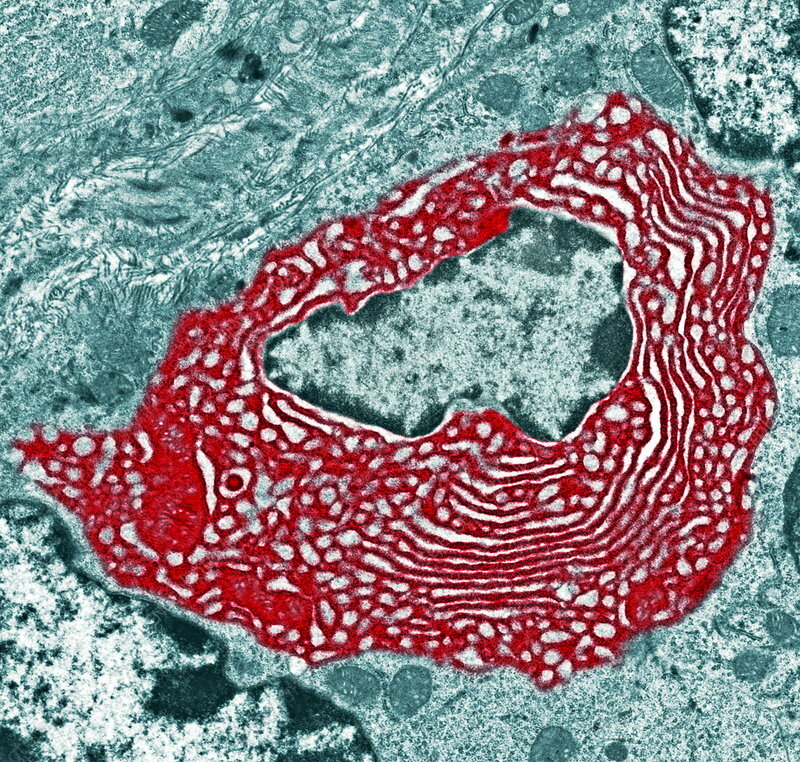 In the cell's cytoplasm (red) is an extensive network of rough endoplasmic reticulum (RER, white lines). RER manufactures, modifies and transports proteins, in this case antibodies. The lamina propria is a thin layer of connective tissue beneath an organ's epithelium. Magnification: x9000 when printed 10 centimetres wide.